Martin Luther King Jr. would have turned 86 today. His legacy continues to inspire millions, including myself. 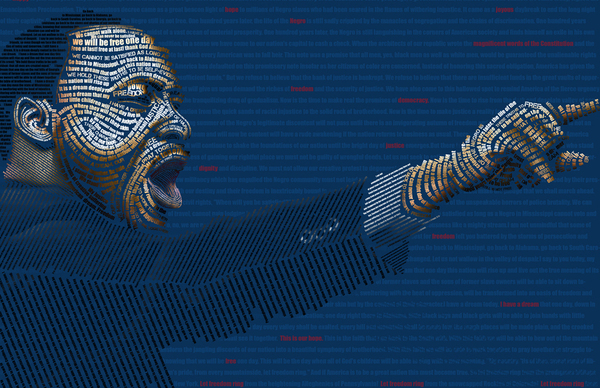 In my previous post, I wrote about my twenty favorite MLK quotes that have influenced my worldview in life. Today, I’d like to share my thoughts on what Martin Luther King Jr. taught me about the meaning of life. Six months before he was assassinated , Martin Luther King delivered a lesser known but exceptionally insightful address on the topic of purpose and meaning of life. In just 563 words, delivered at Barratt Junior High School in Philadelphia, King suggests three relevant and powerful ways to seek a meaningful life. 3) Serving others like you’re on a mission from God – because you are! King tells these groups of high school students, many of whom were impoverished and hopeless in their future prospects, that they have intrinsic “dignity “and “worth,” precisely because they are made according to a transcendent blueprint. As King said, “number one in your life’s blueprint should be a deep belief in . . . your own somebodiness. Don’t allow anybody to make you feel that you’re nobody.” The Bible also says that we are God’s “workmanship.” We are created in a unique way. The Greek word for workmanship is poema, or poem. Like a poem, God made us with a beauty and complexity that is not captured in the first pass. This message remains a timeless principle but a timely message. In my own personal life, it took years and years to unravel and expose all the myths that surrounded my true sense of identity. Once I found my unadulterated self, the Bible pointed me to who I was – an apple of His life. Secondly, King told these students to develop a “determination to achieve excellence in your various fields of endeavor.”He was clear and forthright that success doesn’t come without paying your dues. We live in a society in which the world paints a story of a overrated and unrealistic picture of successful people. Hard work is often eclipsed by the interesting stories that surround their lives. Greg Forster says, “the most profound part of the talk is where he connects this eternal calling to work with an up-to-date understanding of the dynamics of economic change. He knows that in some ways a new world is opening up for the children of Barratt Junior High. That new world is still unfolding today, and we need to keep alive King’s vision of its potential.